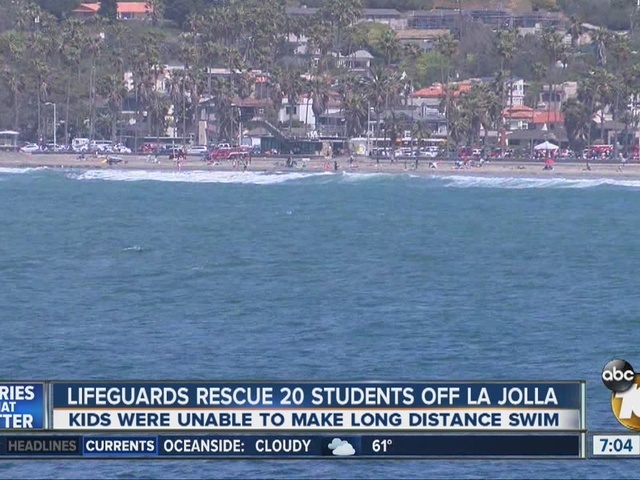 SAN DIEGO - Lifeguards Tuesday rescued a group of Riverside County teens who began suffering from exhaustion and exposure to cold during a group swim in chilly waters off the coast of La Jolla. 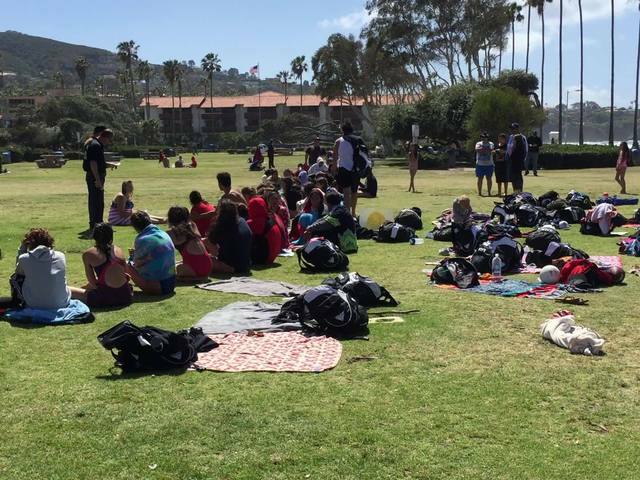 The youths, part of a group of 62 swim-team members from Rancho Verde High School in Moreno Valley, got into trouble in the ocean near La Jolla Cove about 1:15 p.m., according to the San Diego Fire-Rescue Department. Lifeguards on water scooters ferried the victims to shore, where paramedics evaluated them, SDFRD spokesman Lee Swanson said. Eight of the teenagers were treated at the scene for excessive cold exposure, and two others were taken to Scripps Memorial Hospital La Jolla for evaluation of similar symptoms. None of the students' trauma was believed to be serious, Swanson said.